New Delhi : #MaukaMauka trail continues as team India beat West Indies by 4 wickets to ensure their birth in quarterfinals. Defending champions survived a scare before making sure their berth in the quarterfinals of the on-going World Cup 2015. 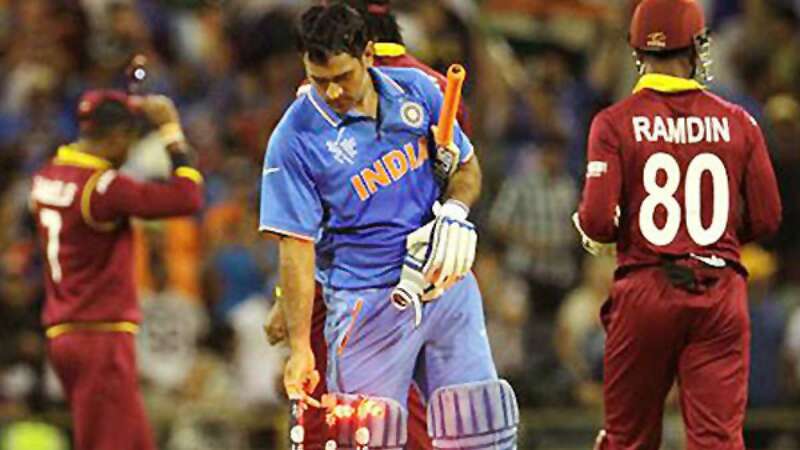 With not so great show West Indies posted a small target of 183 runs against India. West Indies young captain played his heart out with 57 runs to keep the hopes alive for his team. Catching up the same Team India’s opening batting order also tumbled but the surviving nod was the skipper Mahendra Singh Dhoni. Indian skipper posted unbeaten 45 runs of 56 balls to ensure a win against West Indies. With this India has become first team to reach quarterfinals from Pool B. New Zealand has also qualified for the same in Pool A.